There are certain rules of etiquette you should know when you visit a temple. It is very disrespectful towards the locals and the Buddhism to not follow these rules. Remember, you are here a guest in a foreign country. It is decency and respect to know and respect about these manners. One of the main rules is actually quite easy and simple. You may visit no temple if you are dressed to permissive, for example, in swimming pants or bikini. Also miniskirts or tank tops is not permitted. The same is valid for men and for women. 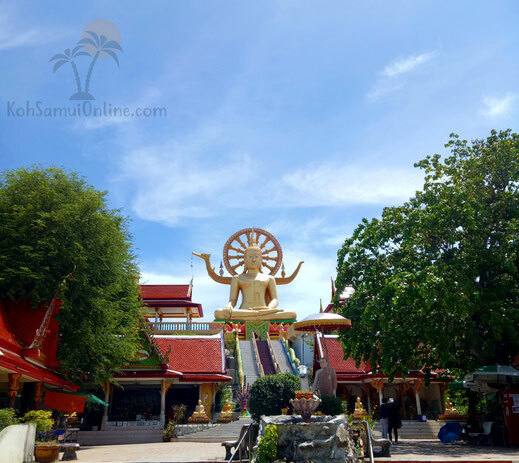 At the best known temple on Samui, the Big Buddha, they have for visitors, which the clothes order not correspond, some towels which one can put down to himself to visit the temple. Many other temples do not have this. So remember before you visit. What you should also not make, is to kissed or cuddle each other in the temple. Now for myself European (I simply assume that you are one too) it is normal to hold hands or to kiss each other somewhere. In Thailand this is not the case, in a temple also not. In almost every temple it has these „round bowls“ which are hung up on ropes. You will see them if you visit a temple. They look little bit like an "UFO". If you stroke now with your hands this digging, it can seem that these bowls start to generate sounds. It not always works. Sometimes the bowls startet to make loud sounds, sometimes nothing happens. It says if it works and the bowl start sounding you have a free wish. I have try it already sometimes, it has functioned only twice. Attempts your luck. In many temples in thailand koh samui you will find bells. If you look a little more exactly, you will see that these bells not stand arbitrary, but form a row. It has somewhere a beginning and an end. At the beginning you will find a container with bamboo sticks. Take one and hit on every single bell, from beginning up to the end. Now you have a free wish. 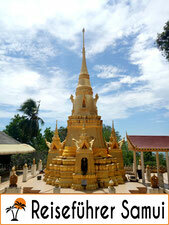 Now I show you the temples at Koh Samui which you must have seen. Every temple is unique and is worth a visit. 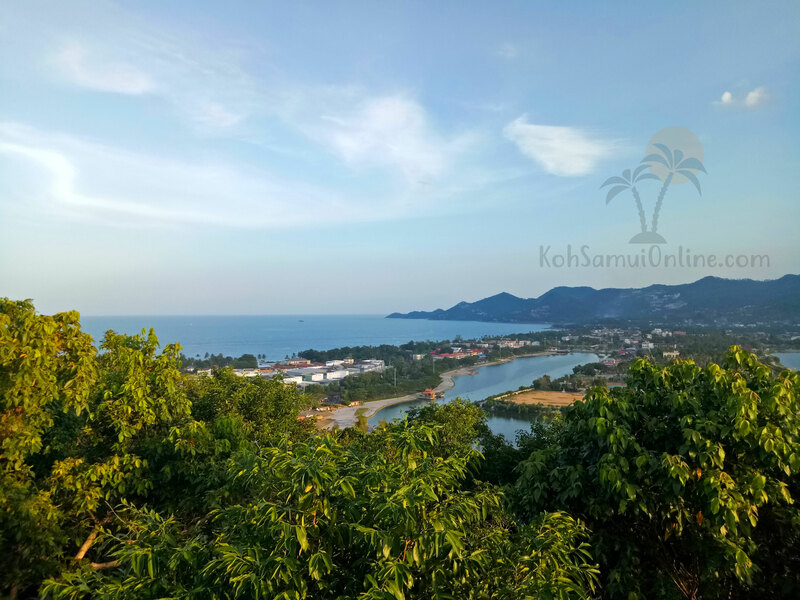 Here now the Koh Samui travel tips. 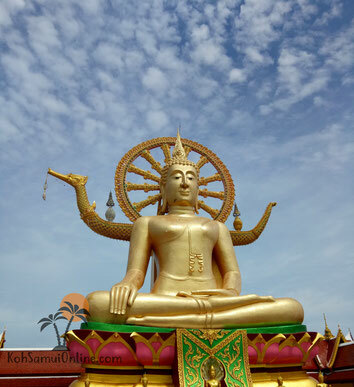 Who was on Koh Samui and has not visited the Big Buddha, was not on Koh Samui. 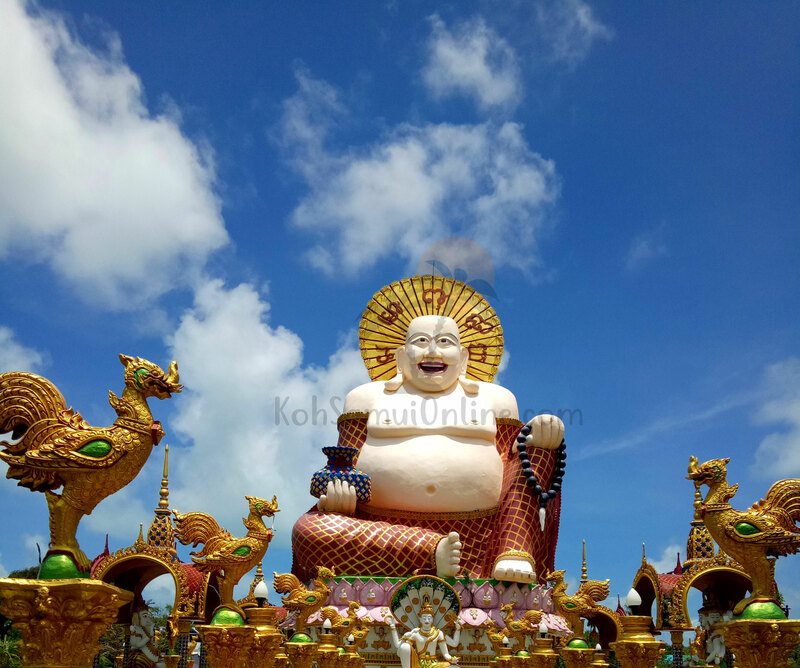 The Big Buddha is the landmark of Koh Samui. 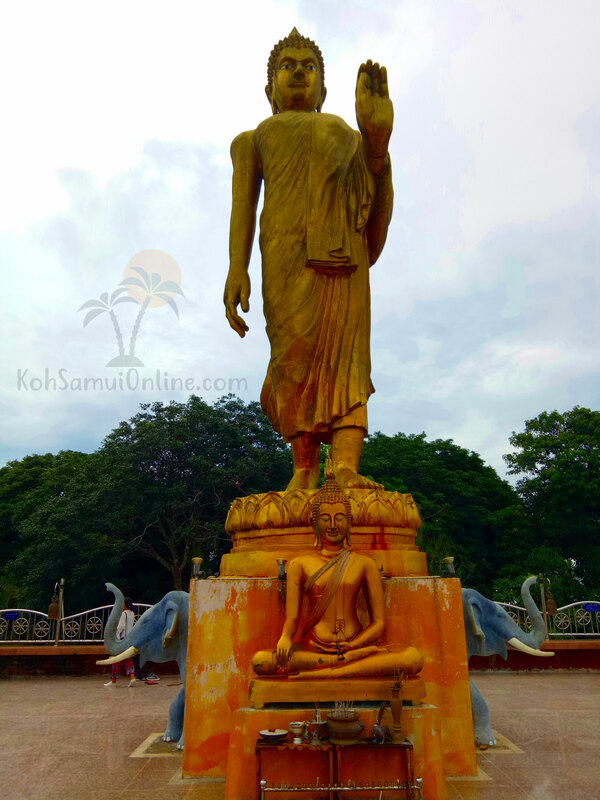 It has on Koh Samui, like I find, much nicer temples, however as is already mentioned, the Big Buddha is the landmark by Koh Samui. Should you be at the Big a Buddha, not far away is located the Wat Plai Laem Tempel, by far absolutely one of the nicest and biggest temple on Koh Samui and my absolute favorite. The statue of the Buddha is unbelievable 12 metres high and was built in 1972. All around the temple you find countless souvenir shop and some food shops. Wat Khunaram Tempel is a special temple. Here is a mummified monk. 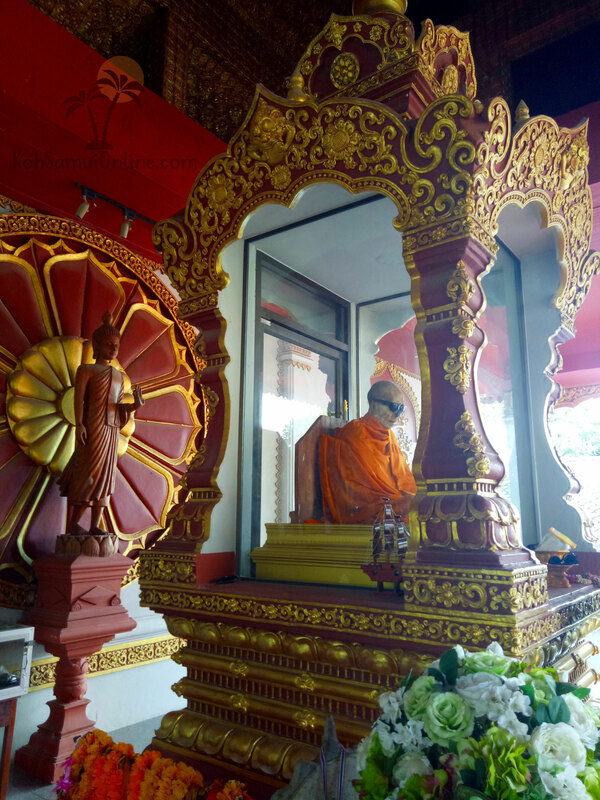 Apparently the body of the monk has been preserved from alone after his death in 1973. The monk is in a glass box. He was famous for his meditation technique and had at his lifetime a lot of followers. It is maintained the body does not go to ruin, because of his long meditations, a low absorption of nutrients and a low metabolism. Others believe in a miracle. The mummified monk carries sunglasses, because the eyes have dried up and is not nice to see. 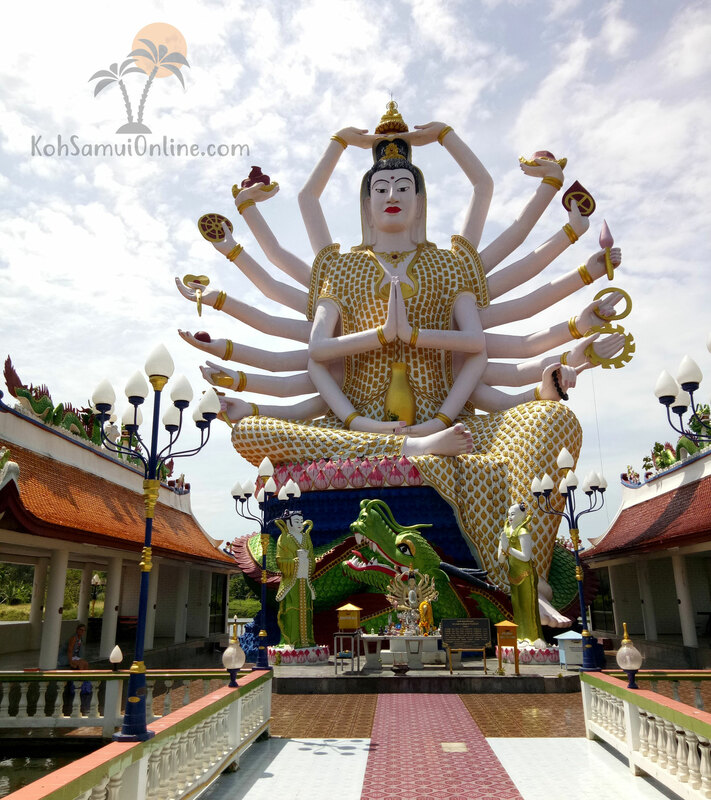 Wat Plai Laem Tempel is the biggest temple arrangement on Koh Samui. I find personally, it is also the nicest one. This temple lies only some minutes from the Big Buddha. 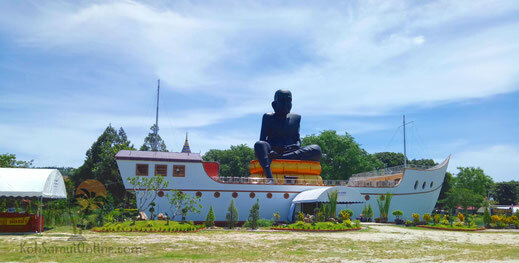 If you visit the Big Buddha, an excursion may not be absent to Wat Plai Laem. 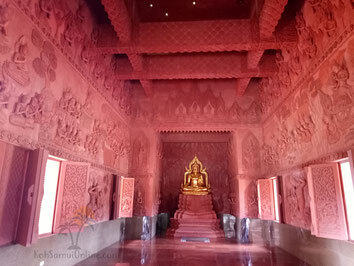 One of the best known Thai artists, Jarit Phumdonming, spent several years in details and design of the temple. And believe me, you can see it. 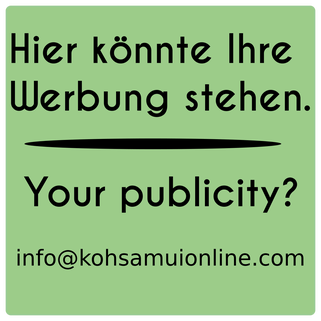 In addition I have produced a small video. Make your own picture about this temple. This temple is very new. Also here on top, they have both rituals. Once with the bells and once with the bowl. Two black bells mark the beginning and the end. 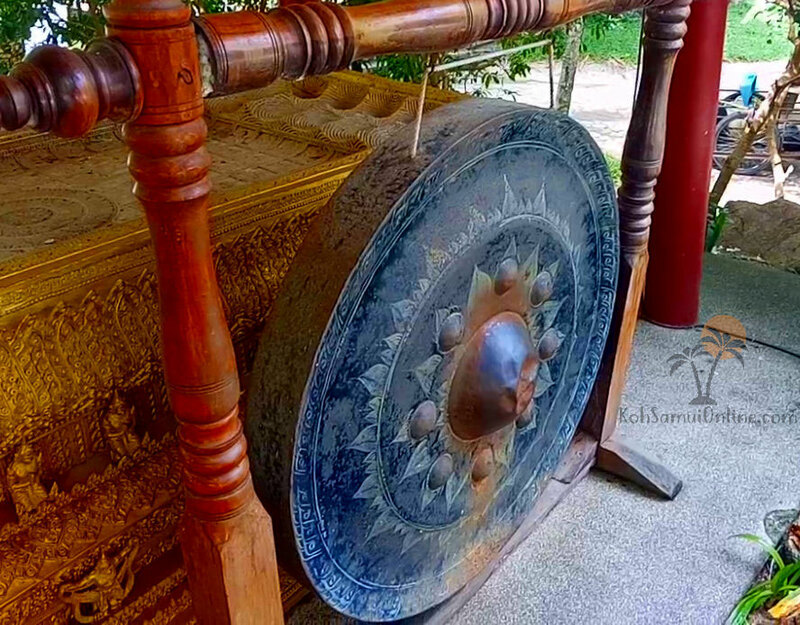 You will see the beginning, because under this bell is a bucket with bamboo sticks. 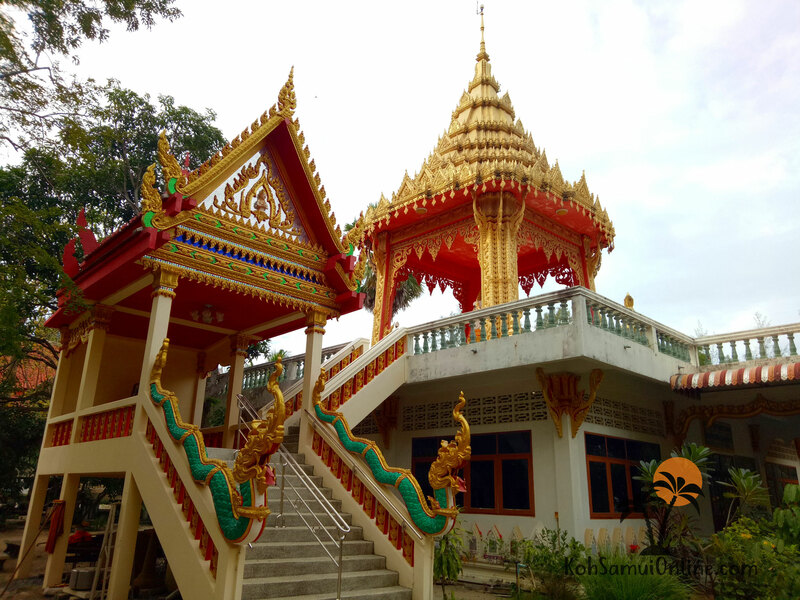 This temple is little bit a hidden, because he is located in one not so visited area of Koh Samui. If you are there, you will hardly see somebody. The temple lies directly by the sea. There rules a very pleasant rest. The Chedi is golden. 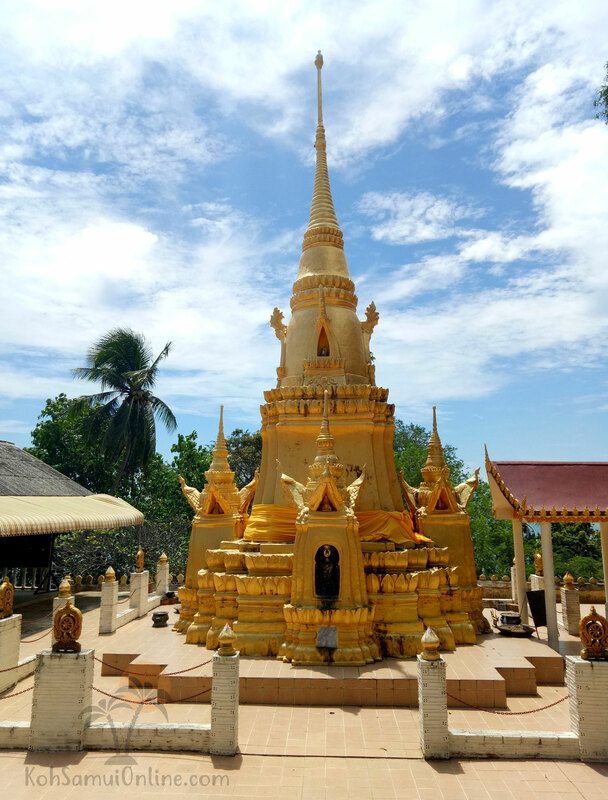 A part of the top is called Chedi. This is this big conical point. With very warm weather they come a clear sky, the sea water is deep-blue in the background and the Chedi in gold particularly stands out. This provides for unique holiday photos. The Guan Yu Tempel is a Chinese temple on Koh Samui and does not deal with Thailand a lot. 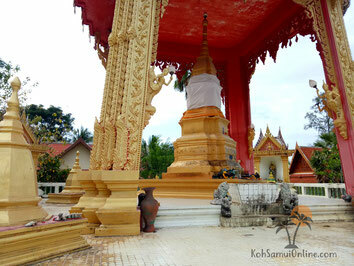 Still, it is a nice temple and also a sign for many different cultures on Samui. The statue on the temple shows a known Chinese general, Names Guan Yu. 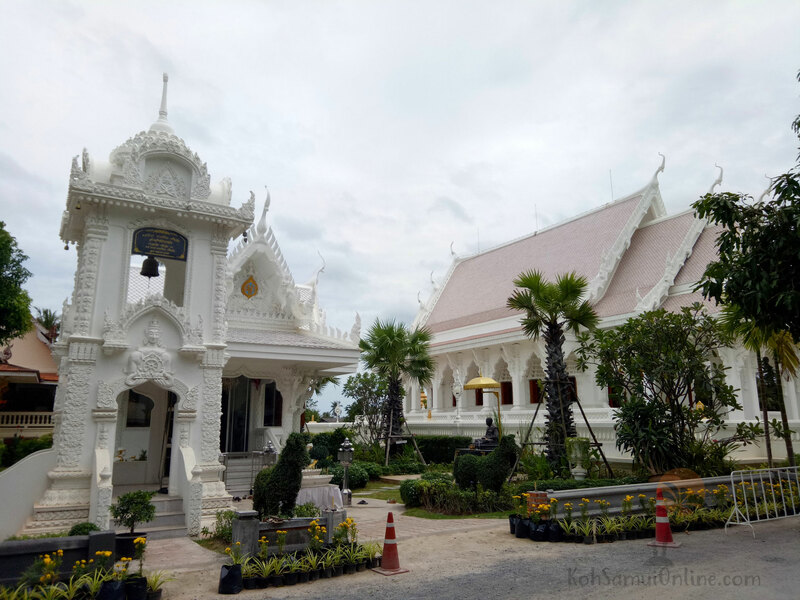 This Temple was built in 2016 and lies directly beside the high street in Lamai. 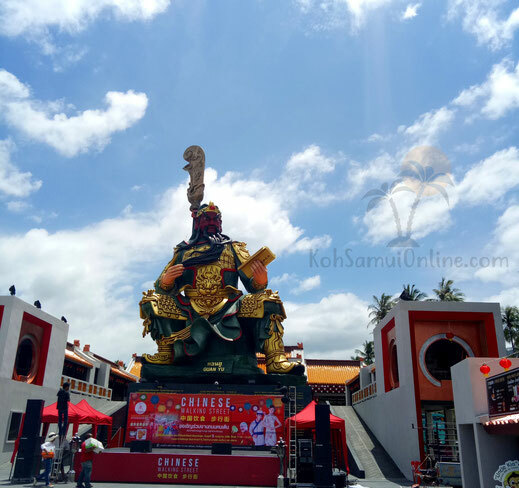 Here you get to know more about the history of the general Guan Yu. 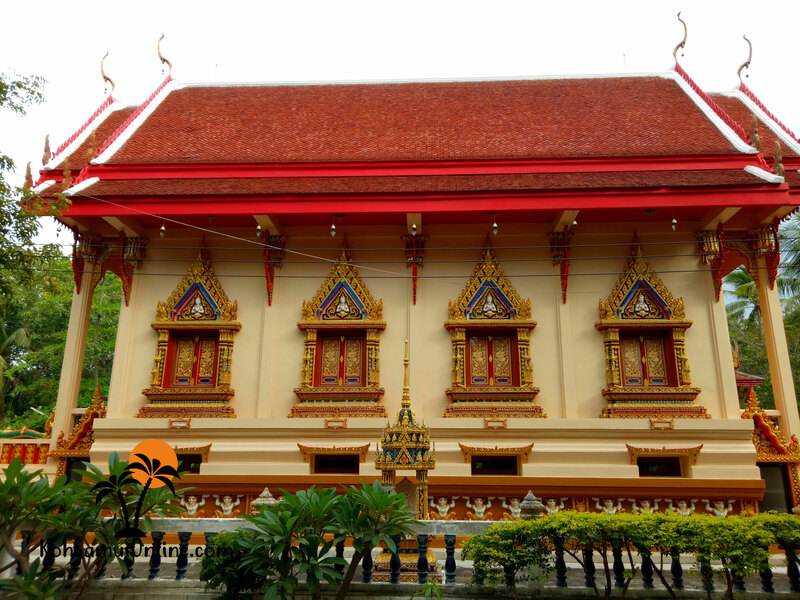 This temple lies on the hill of Chaweng. From here you have a miraculous look around Chaweng, the airport and the Chaweng lake. Up here particularly at sundown it is very nice and with the Chedi in the foreground one can shoot special pictures. This temple, was up to a few months ago, still an absolute confidential tip. It is located on the top of a mountain, in the middle of the jungle. Various safari jeep tours started to drive to the temple and make an Excursion trip. But you can also drive with the scooter, I have already made this. It is a way of full blow holes and broken streets, however, the view compensates this again. Because the temple is developed, now you have to pay 20 Baht entry. With this they want to finance the removal and maybe also one day the street. At the moment they built a lot and for sure this will get an bigger temple in future. 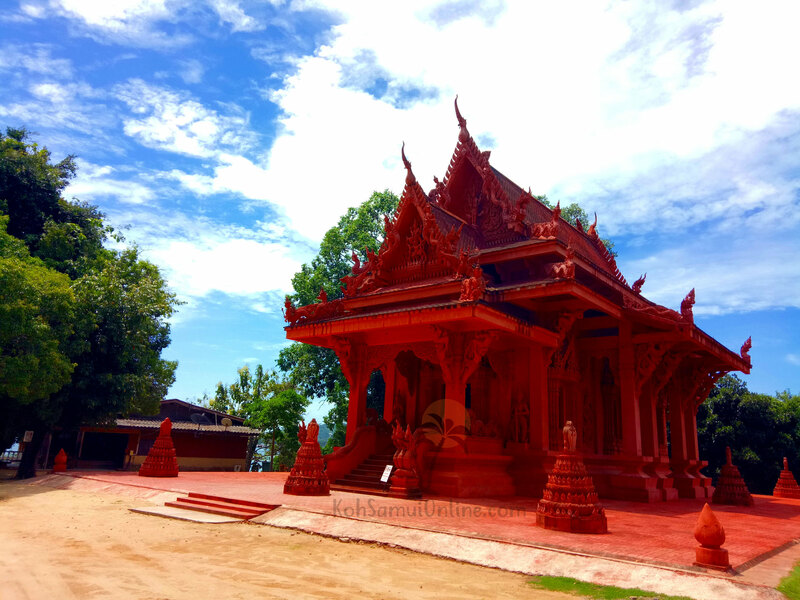 This temple is held in Red and is completely carved of wood. The temple is visited very much by the locals. 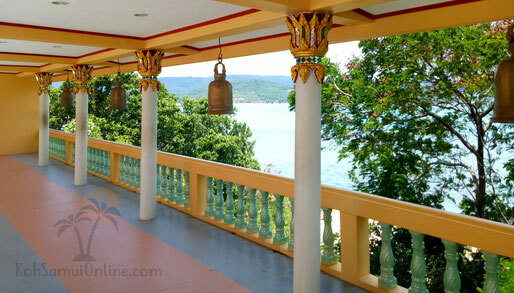 It lies in Lamai and ist near the main road. 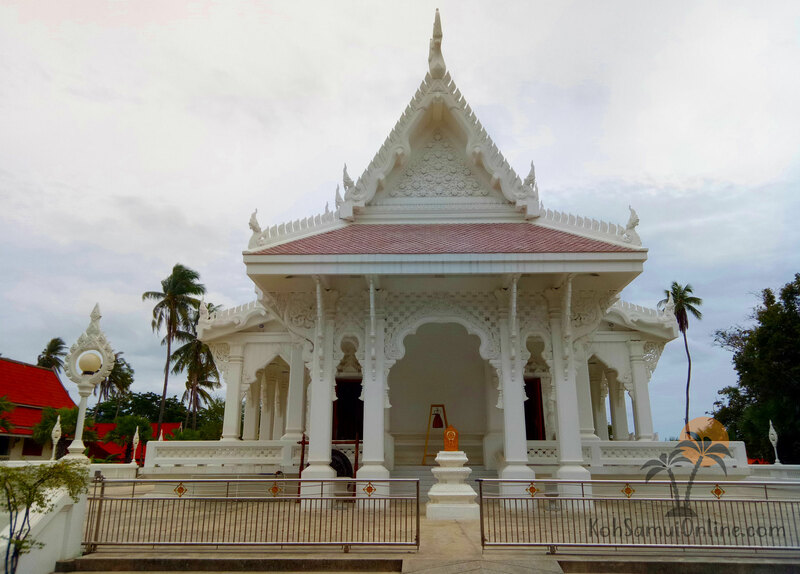 This temple is completely held in white and was built in 2017. The temple is located in Chaweng. This is a small temple which is near the Lomprayah pier in Maenam. 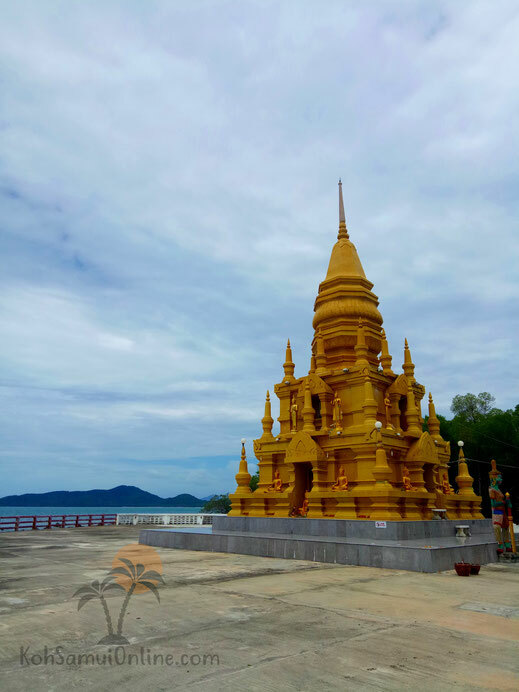 Besides, the temple lies in close vicinity to the sea and who is on the way to the pier, should stop here quickly for a visit.